Today is the first in a new "Before They Were Famous" series here on Total Recall, where we look at the games some of the world's biggest developers worked on before they became some of the world's biggest developers. First up is Bungie, creators of the Halo series. While most got their introduction to Bungie through the juggernaut Xbox shooter series, and others go a little further back to the days of Marathon and Myth on the Mac and PC, it's been twenty years this month since the company was formally founded, and just under twenty years since the very first official Bungie game hit shelves. Funnily enough, that first "official" game is actually the second game Bungie released. Confusing? Not really. In 1990 company founder Alex Seropian released a Pong clone for the Mac he called Gnop!, which was distributed for free. It's credited as the work of Bungie, but since the studio didn't actually exist yet as a legal entity, we're not counting it as the company's first game. That honour goes to top-down shooter Operation: Desert Storm, released on the Mac in November 1991, only a few months after the official foundation of Bungie Software Products Corporation. Another game by founder Alexander Seropian, he set the company up so that he could seriously release the game, in a box, with a manual, and art, etc. While it only sold 2500 copies, around the same time Seropian had decided to team up with a University of Chicago classmate by the name of Jason Jones, who had himself been working on a game for the Mac called Minotaur. Released under the Bungie name in 1992, Minotaur: The Labyrinths of Crete was a role-playing game that, despite its antiquity, had one very unique feature: online multiplayer. Online gaming was practically non-existent even on the dominant PC platform, so on the Mac, it was never going to sell. And it didn't, only moving around 2500 copies, giving Bungie 5000 sales from two games. Not the greatest start. The studio would hit the big time (well, as big as Mac gaming could get in the early 90s, at any rate) a year later, though, with the release of the visually impressive Pathways into Darkness, a first-person adventure game that not only picked up year-end awards like Macworld's "Best RPG" and Mac Games' "Adventure Game Of The Year", but more importantly, sold a ton, at times beaten out on the Mac sales charts only by SimCity 2000 and Myst. With this injection of cash, Bungie got real, moving out of a bedroom, into an actual office (albeit "a former girl's school next to a crack house") and hiring additional staff. 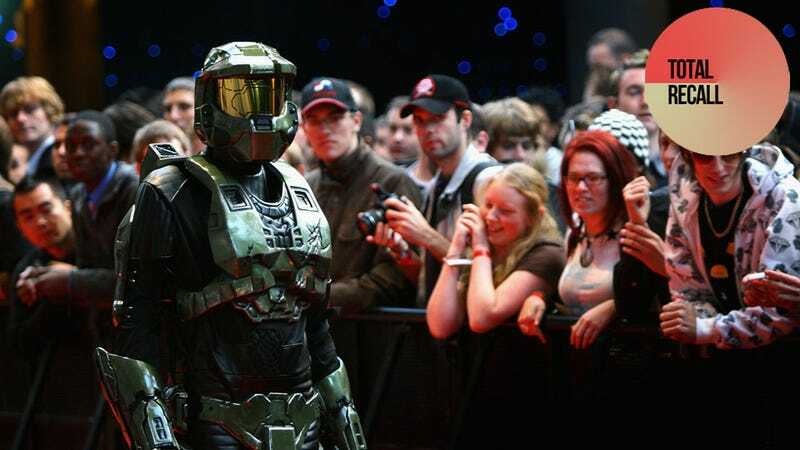 The studio's next game would be cult classic first-person shooter Marathon, a smash hit on the Mac and spiritual forebear of the Halo series, and from there, the rest - from Halo to a furious Steve Jobs to Microsoft to Activision - as they say, is history.